Chipotle is now selling large sides of guacamole. Chipotle wants to help fans get their guac fix. Ahead of National Guacamole Day on Sunday, the fast-casual Mexican chain announced it is now selling large 8-ounce sides of the avocado-based dip. 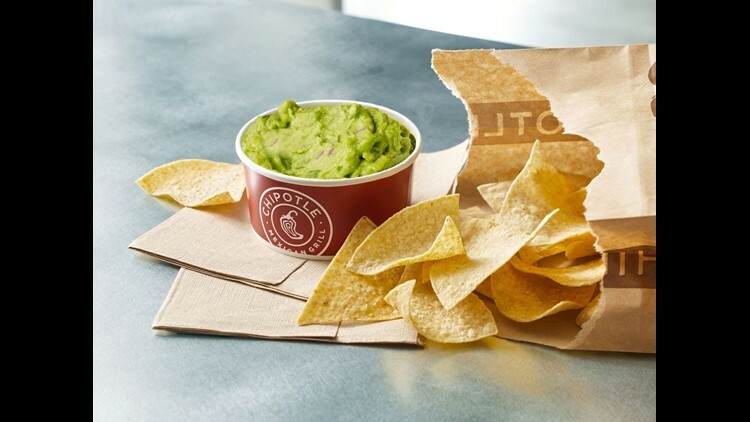 "Guac has long been one of Chipotle's most beloved items," Chris Brandt, Chipotle chief marketing officer, said in a statement. "Many of our customers can't get enough of our guac, and we're thrilled to give people even more options to get their guac fix." Previously, the guacamole side only came in a 4-ounce side or with an order of chips. According to Chipotle, customers order nearly 50 million pounds of guacamole from its restaurants per year and more than 450,000 avocados are used daily. But don't expect to save any green on the new menu item. The average price for the large side is $4.10, double the price of the 4-ounce side. The average for an order of large guac and chips is $5.75. Chipotle also is marking the made-up holiday Sunday with "celebratory Snapchat filters and guacamole-themed stickers." On Saturday, there will be a Giphy sticker set on Instagram. For a similar "holiday," National Avocado Day held July 31, Chipotle gave away free guac. The promotion was so popular the restaurant's website and app crashed. There aren't as many deals on guac as there were in July for Avocado Day. Qdoba Mexican Grill: Did you know this fast-casual chain gives away free guac everyday? The fast-casual chain started giving away free guacamole with orders of burritos, tacos and quesadillas in 2014 and also offers free queso. Wholly Guacamole: Get a coupon for a free guac of your choice on Sept. 16 when you fill out a form at www.guacday.com, while supplies last. The coupon has a maximum value of $5.99, and the brand’s products can be found in the produce or deli section of grocery stores nationwide.